You are here: Home / Items / Civil Rights, General Litigation, Labor & Employment, Personal Injury, Professional Malpractice, Real Estate / James L. Pfeiffer, Esq. James L. Pfeiffer is a partner member of the firm who is licensed to practice in both New Jersey and Pennsylvania. After receiving his B.A. in business administration/political science from Kutztown University, he earned his J.D. and graduated with Dean’s List honors from Thomas M. Cooley Law School in 1986. 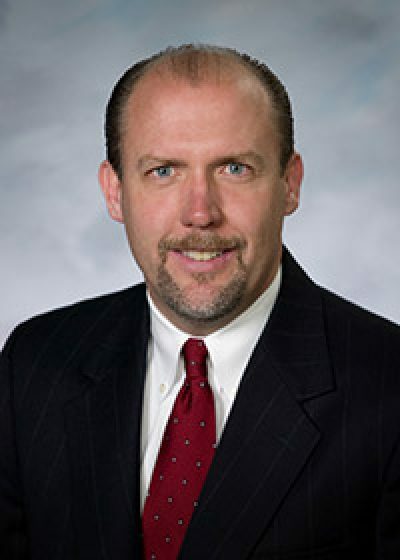 He has been a member of the U.S. District Court for the District of New Jersey since August of 1988. After practicing in private law for 19 years, Mr. Pfeiffer served as Judge of the Superior Court of New Jersey from 2005 to 2007. Mr. Pfeiffer has extensive Federal Court experience in civil litigation matters and has made numerous Appellate Division appearances. He has represented clients in a variety of cases including civil rights litigation, products liability, professional malpractice, employment, traffic accidents, slip/trip and fall, and real estate. His largest jury trial verdict to date grossed $2.2 million for a products liability case involving defective car locks/carjacking. Moroney v. General Motors, et als., (PA Super. 2004). Due largely to Mr. Pfeiffer’s efforts, a jury verdict of $1.75 million was secured for a New Jersey civil rights violation case. Shepherd v. State of New Jersey., (NJ Super., App. Div. 2001), 174 N.J. 1 (2002). With many years of criminal defense experience, Mr. Pfeiffer has defended clients facing charges including capital murder, sexual assaults, drug (possession/distribution), juvenile, thefts, and DWI. He is accredited with handling the first case in the State of Pennsylvania involving the admissibility and use of mitochondrial DNA. Commonwealth of PA v. Patricia Rorrer, Lehigh County, PA (1994). As a lifelong resident of the Greater Lehigh Valley, Mr. Pfeiffer is dedicated to providing the people of this area exceptional legal support and advice. Mr. Pfeiffer is also a proud member of the Multi-Million Dollar Advocates Forum, an exclusive group of trial lawyers who have obtained jury verdicts or settlements for more than two million dollars.